At least she followed it. While the big fish hadn�t gone all-in and eaten my swimbait, she�d exposed herself enough to allow me to judge her size and reveal her hiding spot; possibly the biggest advantage I could gain. Just knowing you�re fishing near a big fish ups the odds considerably. It�s truly difficult to get an accurate reading on the size of a fish from a simple glance, until you catch a few that day. You see, bass look drastically different from one lake to the next, due primarily to water clarity. Whereas a follower may look to be 5 pounds at first, that same fish may be deceivingly farther from the lure in a clear lake, and deeper, and may weigh 8 pounds or more. I�d guess this one around that 8-pound mark, and continued down the bank to get a feel for the area. The previous afternoon, I�d fished a remote lake in the Ocala National Forest where, legend had it, monster bass once lurked. Anticipation was high, but results were less than desirable, not unlike many of my experiences chasing the ghosts of Florida�s glory days. Quietly at sunset, I stowed the heavy flipping outfits and giant plastic worms. Maybe today would be different. 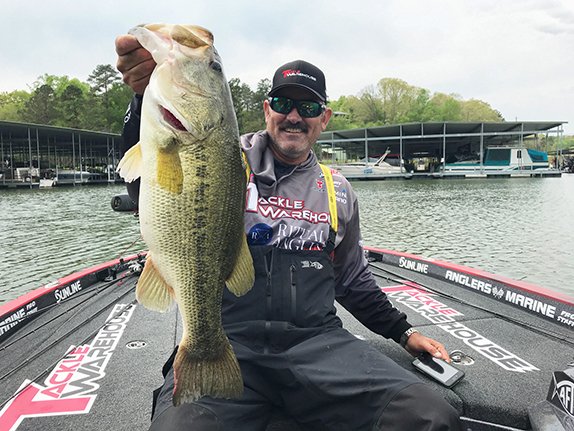 I knew at least one big bass was around, and that was a great start, so maybe the key would be to systematically run through the tacklebox and try different things � different baits and retrieves �� until I got a positive response. My initial contact with the big follower led me to believe that she was, indeed, interested in eating something that day. Whether due to hunger or territoriality, or any of the number of reasons big bass bite, she was responsive. When one is interested, oftentimes a bunch are. I dug through the rod box and sorted through my options. There was a frog, of course, and a big Rapala. Another swimbait made its way out onto the deck � this one an ultra-realistic Japanese model that I�d played with a bit in the spring. Then I spotted the snake. 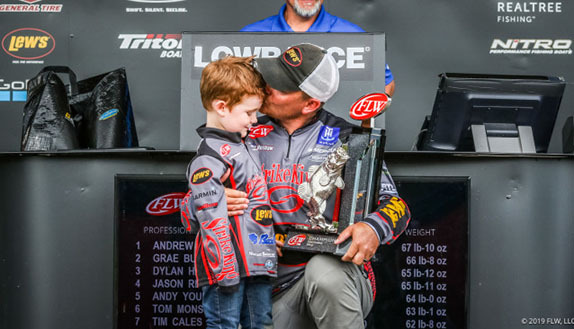 The day prior, after striking out repeatedly with more modern options, I rigged a 16-inch plastic worm simply out of nostalgia, reeling it slowly across the tops of lily pads, as I�d read about decades ago. Back in the �70s, at famous big bass holy lands like Jackson and Kissimmee, giant bass were said to erupt through the surface scum, engulfing the snakes. Today, I doubt many anglers even own such a lure. Of course, nothing hit it. I figured what the heck; it was a new day and a new lake. I�d give it one more try before sending the worm back to the shop to collect dust with all the baby ducks and Musky Jitterbugs and dozens of other romantic lures I couldn�t seem to resist. The first cast was a dud; the second changed my life. Halfway back to the boat, I could see the bass following the snake as I reeled it just below the surface. With nothing but sparse cover on the shoreline, I wasn�t sure the best way to retrieve the bait, but the giant fish was swimming after it. The faster I reeled, the faster she came until, just before inhaling the lure, she saw the boat, and me, and slowly turned away. I guessed the fish near 10 pounds. The next cast, a 7-pounder hammered the snake after two turns of the reel handle. A couple casts later, another big follower, then a 6 1/2 came across the gunnels. I quickly trolled back to the spot where I�d seen the initial big bass. With the wind at my back, I started my GoPro, lobbed the mega-worm toward the bank and began slowly swimming it back. The strike was quick to come. Hammering down with 30-pound test, I�d brought a gun to a knife fight, and the big bass was at a disadvantage. Try as she may to reach a bed of submerged hydrilla, I turned her, the hook held, and soon she was being weighed. Nine pounds even. Not bad. Throughout the day, I�d use up the 5-count bag of snakes rapidly, attempting to bite and glue and hook pieces together to somewhat resemble the magic lure I�d discovered. My top 5 bass for the day weighed 36 pounds. It�s funny when we consider the knowledge, or learning ability of fish; specifically big bass that have seen every trick in the book. Just when you think things are incredibly complicated and that only the newest, most exacting presentations have even a shot at succeeding, a 16-inch plastic worm from 1965 slaps you in the face. 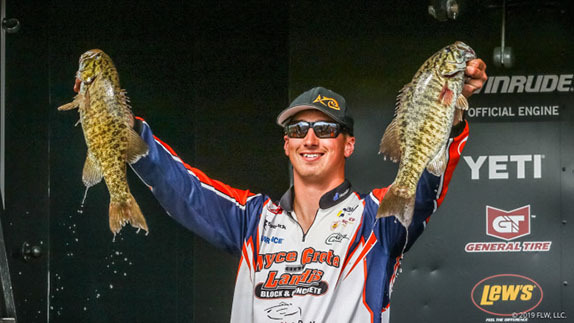 After relentlessly pursuing the biggest of bass in all seasons of the year, I�m convinced that, if a fisherman can discover a unique category or attribute of lure, oftentimes nearly every fish in the lake will come take a glance. And if they take a look, you�ve got a shot. Note: To view the unedited, raw video of the mega-worm monster, click here.